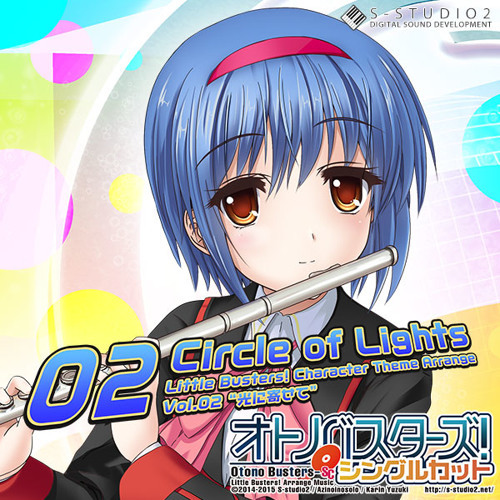 Download [OBSC-02]Circle of Lights -Little Busters! Character Theme Arrange Vol.2 "光に寄せて"
Users who like [OBSC-02]Circle of Lights -Little Busters! Character Theme Arrange Vol.2 "光に寄せて"
Users who reposted [OBSC-02]Circle of Lights -Little Busters! Character Theme Arrange Vol.2 "光に寄せて"
Playlists containing [OBSC-02]Circle of Lights -Little Busters! Character Theme Arrange Vol.2 "光に寄せて"
More tracks like [OBSC-02]Circle of Lights -Little Busters! Character Theme Arrange Vol.2 "光に寄せて"